The program includes Intercultural Evening – one of the most beloved activity known from the annual Youngsters On The Air events. In addition, there will be, among other things, beginner-friendly radio orienteering, sauna, and of course working from the OH2YOTA station. 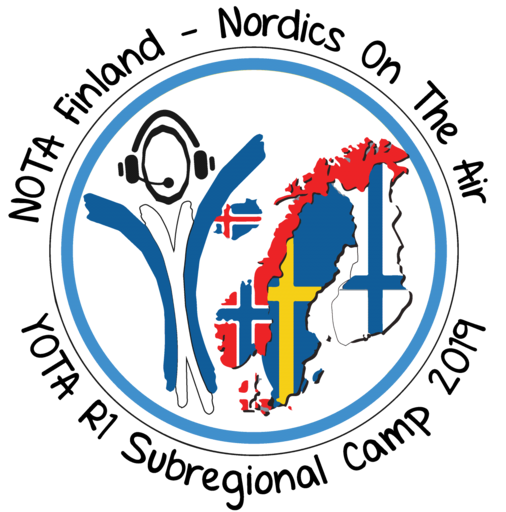 As the Nordics don’t really have a common language, the main language of the camp will be English. The event will take place in Salo, at the southwestern coast of Finland, in a cozy and close-to-nature venue which is designed for youth activities. The area has separate housing for accommodation and activities and a sauna by the lake of course. There are rooms with 2 to 12 beds and pillows/blankets. Participants will need either a sleeping bag or sheets, but if you have limited luggage we can arrange sheets for you. The venue is about 100km west from Helsinki, and transport from Helsinki will be arranged. Info for flight or other tickets is provided after the participants have been chosen. We want you to come! NOTA is a camp for youngsters by youngsters. You all are welcome to join us, especially if you have never been to a NOTA or YOTA before and it is your first youngster activity in the hobby! Agewise, YOTA sub-regional camps are mainly targeted for participants under 26 years old and therefore also at NOTA we prioritise younger participants, if need be. Please note you don’t need to already have an amateur radio license. The application to participate will go through your country’s member society (e.g. SRAL, SSA, NRRL, ÍRA, EDR), and applications are accepted from January 28th to February 24th. The amount of attendees is limited, so we recommend contacting your member society quickly if you are wondering whether to participate! If you are not yet a member, now is a good chance to join!¹ Some of you might be contacted about NOTA by your association. There is a symbolic participation fee of 20 euros including all meals, accommodation and travel from the airport or harbour to the campsite. We will recommend participating members’ societies to cover the rest of their participants’ travel costs. More info will be sent to the participants after the applications close. With any further questions, please contact us at nota@ham-yota.com. 73, we hope to see you in April! All other IARU member societies worldwide can be found at iaru.org/member-societies.html. See the web page of your home country’s association on how to join it. Youth memberships are usually not costly and IARU member societies warmly welcome you aboard! If you have trouble contacting your association or need any assistance with applying to NOTA, don’t hesitate to drop us an email. We’d be glad to help.